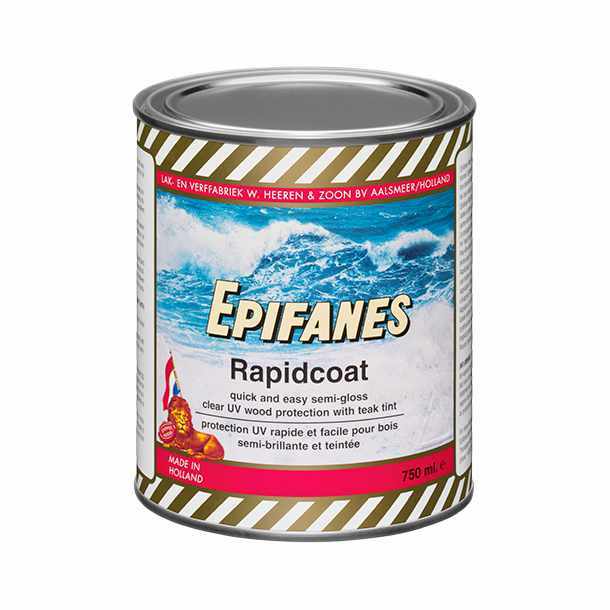 EPIFANES RAPIDCOAT offers quick and easy wood protection without the hassle of sanding between coats. 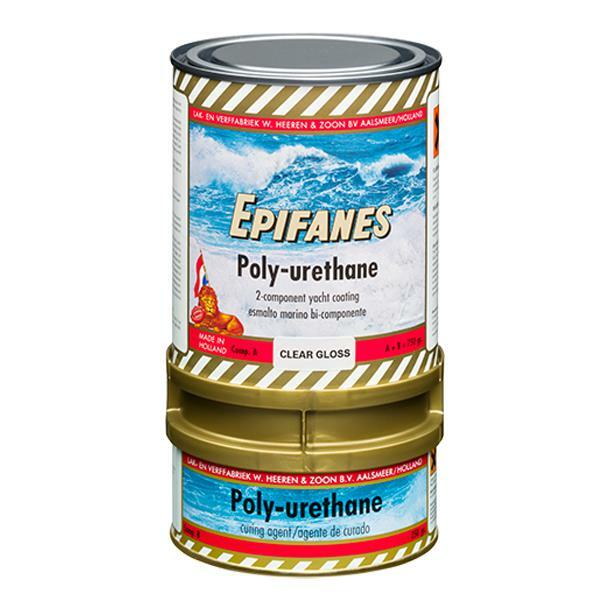 Almost identical to its companion product, EPIFANES Rapidclear the only difference is that EPIFANES Rapidcoat is lightly tinted giving the finish a rich warm colour. Its a one-component wood finish based on modified alkyd / urethane resin. 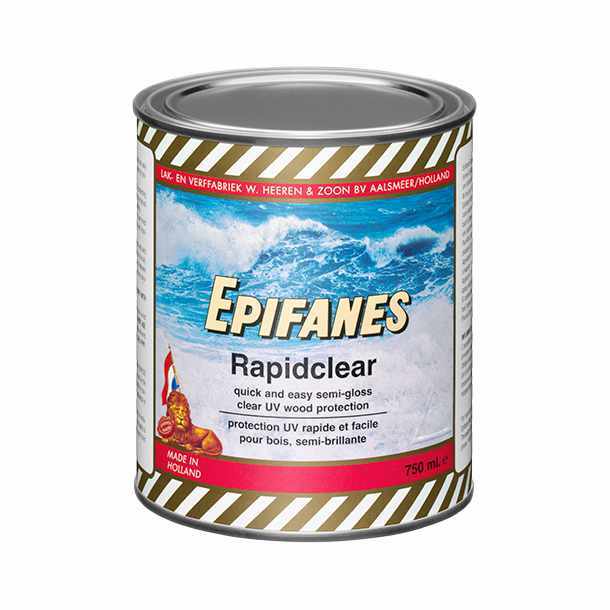 EPIFANES Rapidcoat can be used for renewing weathered areas prior to applying a varnish system or as a full system for those requiring a quick and easy semi-gloss finish with maximum durability, U.V. protection and longevity. 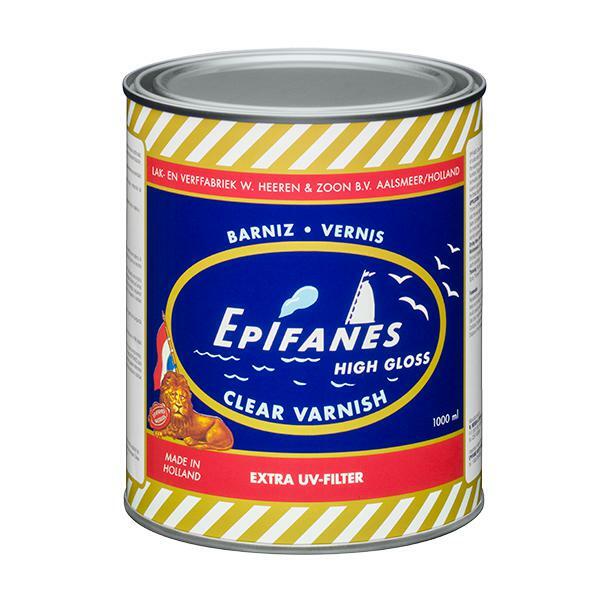 EPIFANES Rapidcoat provides an enhancing coat that bonds extremely well to teak and other oily woods, preventing discoloration and emphasizing the natural grain of the wood. It has great water resistance and flexibility. Only four to five coats need to be applied under most conditions and EPIFANES Rapidcoat can be applied every 5-6 hours. Maintenance is easy. Simply clean the surface and re-apply when needed. PRODUCT DESCRIPTION : A UV resistant semi-gloss wood finish, based on modified alkyd/urethane resins. The answer for a quick & easy alternative to conventional varnish. 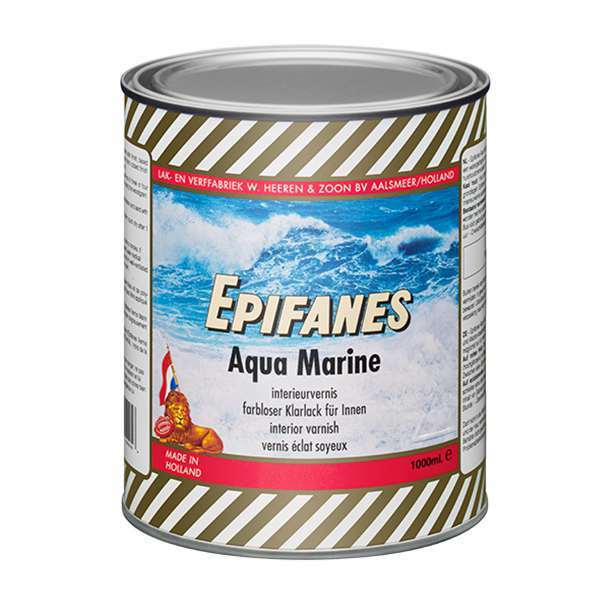 For long term protection & enhancement of all interior & exterior marine & household woods above the waterline. It bonds extremely well to teak & other oily woods, preventing discoloration & emphasizes the natural grain of the wood. Quick drying, excellent breathing properties, flexibility, maximum durability & longevity.FIELD OF USE : To be used as quickdrying building &/or finishing system on all interior & exterior marine & household woods above the waterline. Rapidcoat (teakpigmented) is also suited as quickdrying primercoat prior to Epifanes Clear Varnish & Woodfinish Gloss (sand with P220). Maintenance of intact one-& two-component varnish systems regardless which brand. THINNER : BRUSH-Epifanes Brushthinner for Paint & Varnish. SPRAY-Epifanes Spraythinner for Paint & Varnish. RECOATABILITY : After 5 hours at 18 degrees celcius. COVERAGE : 750ml is sufficient for 10 square metres / 100 square feet @ 25 um.